As CFO, Robin Baran is responsible for the Company’s overall financial structure and reporting systems. 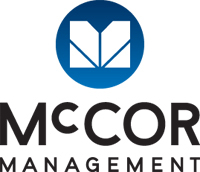 He is a valued member of the McCOR Management Executive Team and leads both corporate and property management accounting departments. Robin also supervises and has direct involvement in Human Resources and Information Technology. 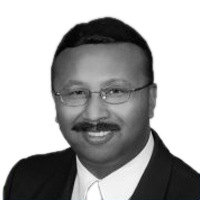 Robin has over 20 years experience and demonstrated expertise in the financial management aspect of real estate services. Before joining McCOR in 2005, he held a senior financial role with an Alberta post-secondary institution. Previously, he was the Corporate Controller of the Saskatchewan and Manitoba Divisions of the predecessor company to McCOR. Robin achieved his Certified Management Accountant (CMA) Designation in 2002. Robin brings a depth of financial knowledge and a dedicated focus on strong client relationships and service excellence to his position at McCOR Management. Robin volunteers his time on the Board of the Knights of Columbus Soccer Association, and is actively involved in the community by coaching and managing youth soccer at the club level.